Tennessee added five offensive linemen in their 2019 class, and that group was headlined by five-stars Darnell Wright and Wanya Morris. The Vols also added two projected interior linemen in four-star guard Jackson Lampley and three-star guard Melvin McBride. But with the Vols already having lost Chance Hall to medical retirement and Brandon Kennedy set to enter his last year with UT in 2019, Tennessee will need to add a couple more interior linemen in their 2020 class. The Vols put a huge emphasis on the offensive line in their 2019 cycle, and they’re expected to focus heavily on the offensive line in this cycle as well. One of the more versatile linemen in the 2020 class is planning on visiting Knoxville for the second time since his offer in the spring of last year. 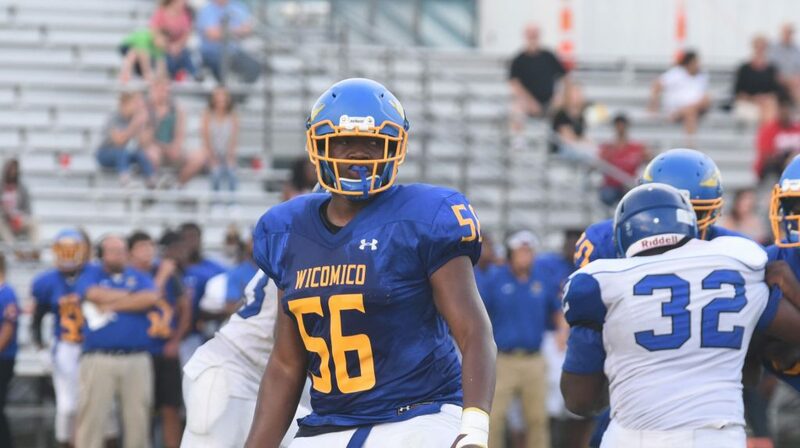 Dominic Bailey is a four-star offensive guard/defensive tackle in the 2020 class out of Salisbury, Maryland. He tweeted out on Sunday that he’ll be visiting Tennessee next weekend. Bailey is rated as the No. 181 overall player and the No. 16 defensive tackle in the 2020 class. Right now, he’s listed as a defensive tackle, but it’s believed he’ll transition to an offensive guard this year and in college. He’s played both offense and defense for Wicomico High School, and he’s transferring to St. Francis Academy for his senior season. Tennessee extended an offer to Bailey back in April of 2018, and he took an unofficial visit to Knoxville a few months later in July. The 6-foot-3, 275-pound lineman holds offers from Georgia, Florida, Penn State, Notre Dame, and others. The athletic big man also plays basketball. Most of Bailey’s highlight film from his junior season has him on the defensive side of the ball, but the few plays that show him on offense show off his aggressiveness and strength. His play on defense does that too, and he has very good lower body strength that complements his upper body build. He’s a play-maker on defense, and it’ll be interesting to see if he stays on that side of the ball or switches to offense like he’s projected to do. The Vols will be looking to add as many offensive and defensive linemen as they can in their 2020 class, and Bailey will be one of their top targets along either line.